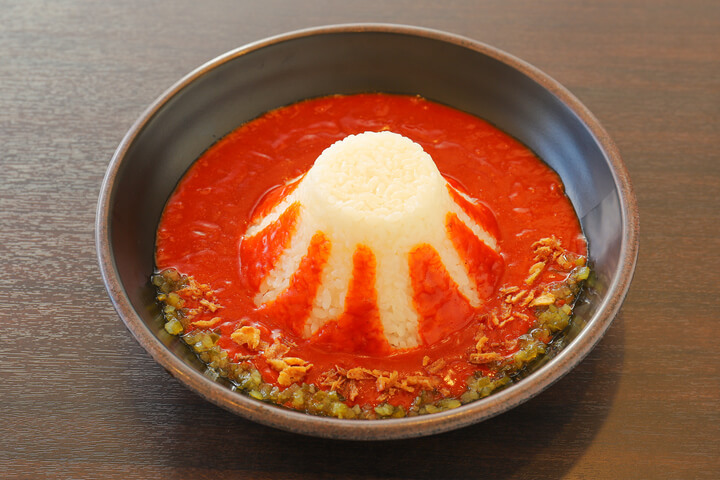 The Mount Fuji Lava Cafe, located in the Fujisan World Heritage Center in Yamanashi Prefecture, released a new Red Mount Fuji Curry on January 12 inspired by the woodblock print Fine Wind, Clear Morning from Hokusai’s Thirty-six Views of Mount Fuji series of landscape prints. This red hot lava curry gets its vibrant colour from its picante spices and red chili oil. But it’s not simply a bowl of spiciness – it also has typical Japanese flavours like a dashi made from skipjack tuna and kombu. It’s also mixed with grape juice made from grapes grown in Fuefuki, Yananashi for deeper flavour. 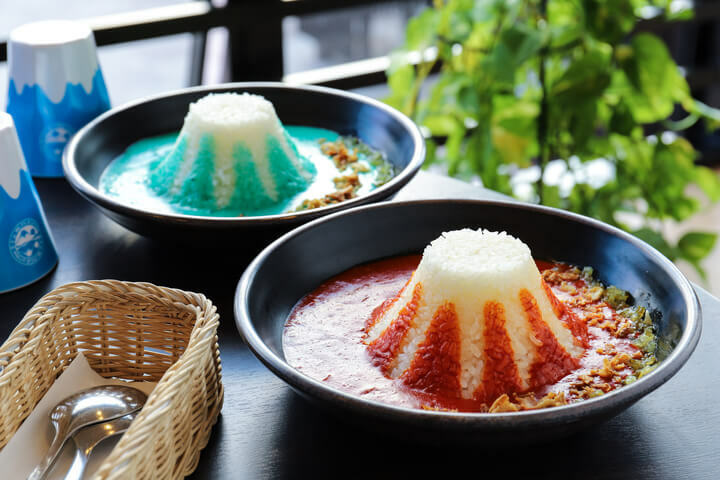 Upon ordering this curry you can pick from three different levels of spiciness. 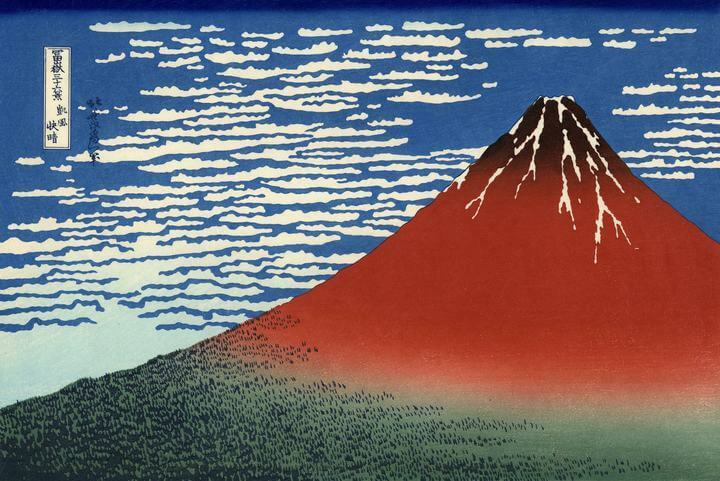 Those who order the highest level, dubbed “Mount Fuji’s Peak,” are offer to take part in an eating challenge. If you’re able to devour the hottest version of this curry within 22 minutes and 30 seconds the price of your bill will be wiped and you will receive a free ice cream. 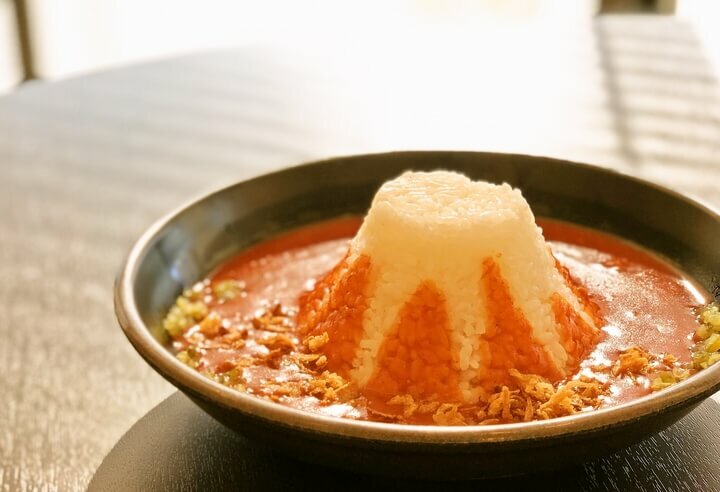 The Red Mount Fuji Curry serves as a follow up to the cafe’s original Blue Mount Fuji Curry which erupted in popularity on Japanese social media.